These descriptions make this a great book to browse through when you're not in the car. Most sites' summaries touch on their condition--whether they're threatened by development (as too many are) and whether they're in private hands or protected by the park service. But the maps are where this book really stands out. 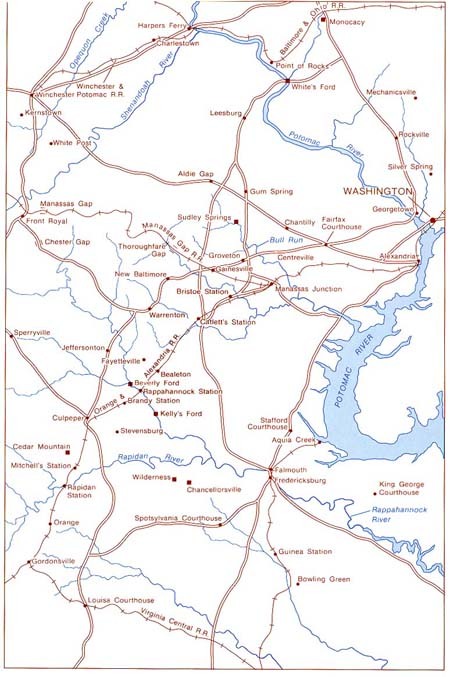 Each battle features a very clear map designating army positions and historical roads, as well as historical markers (the author also wrote “A Guidebook to Virginia's Historical Markers”), parking, and visitors' centers. Best of all, though, many battles are illustrated with paintings or photographs of the sites, and the point-of-view of these pictures is marked on each map! Contributors address questions of military leadership, strategy and tactics, the campaign's political and social impact, and the ways in which participants' memories of events differed from what is revealed in the historical sources. In the process, they offer valuable insights into one of the Confederacy's most famous generals, those who fought with him and against him, the campaign's larger importance in the context of the war, and the complex relationship between history and memory. Contributors include Jonathan M. Berkey, Keith S. Bohannon, Peter S. Carmichael, Gary W. Gallagher, A. Cash Koeniger, R. E. L. Krick, Robert K. Krick, and William J. Miller. About the Author: Gary W. Gallagher is John L. Nau III Professor of History at the University of Virginia. He is author, most recently, of Lee and His Army in Confederate History. Recommended Reading: The Soldier's View: The Civil War Art of Keith Rocco (Hardcover). Description: A splendid collection of more than 100 paintings and sketches from one of the leading artists working in the Civil War field. The text features carefully selected eye-witness accounts that accompany the paintings, and the result is a moving ensemble of images and words that pays homage to the common soldier. Rocco's oils are reproduced here on acid-free, heavy art paper and placed in a finely sewn binding.